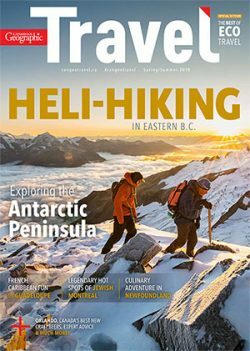 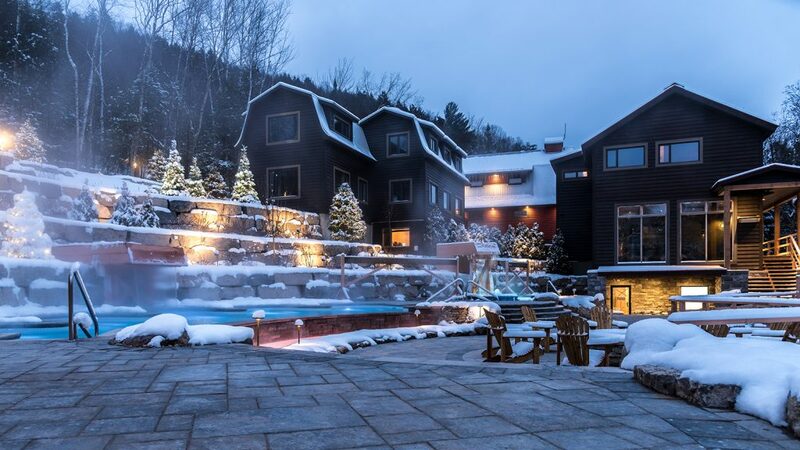 Skiers and boarders hitting the slopes at Quebec’s Mont‑Tremblant, the largest ski hill in Eastern North America, can now look forward to a new way to soothe their aching muscles: the recently-expanded Scandinave Spa Mont‑Tremblant. 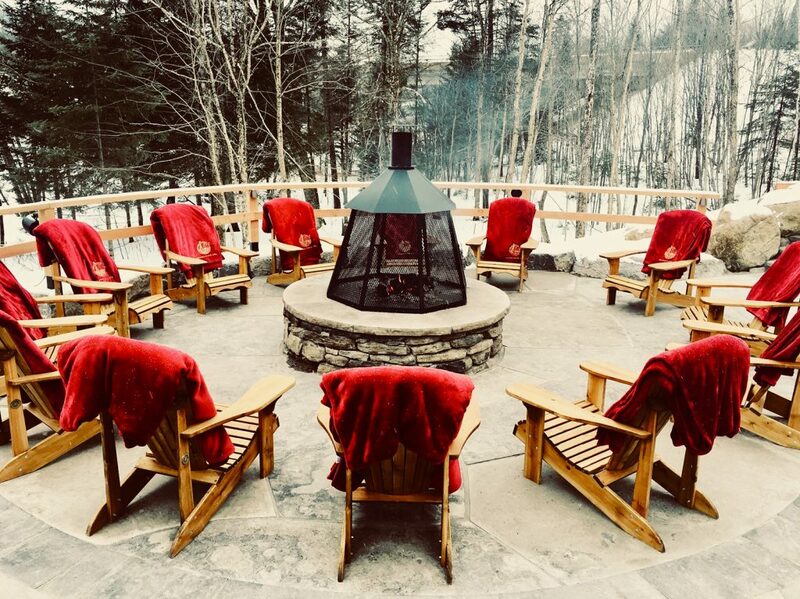 Since 1999, the spa surrounded by Laurentian forest minutes from the ski resort has offered guests a rustic, Nordic-style experience with a mix of hot and cold pools, dry heat saunas and humid steam baths, a handful of relaxation areas and massage treatment rooms. 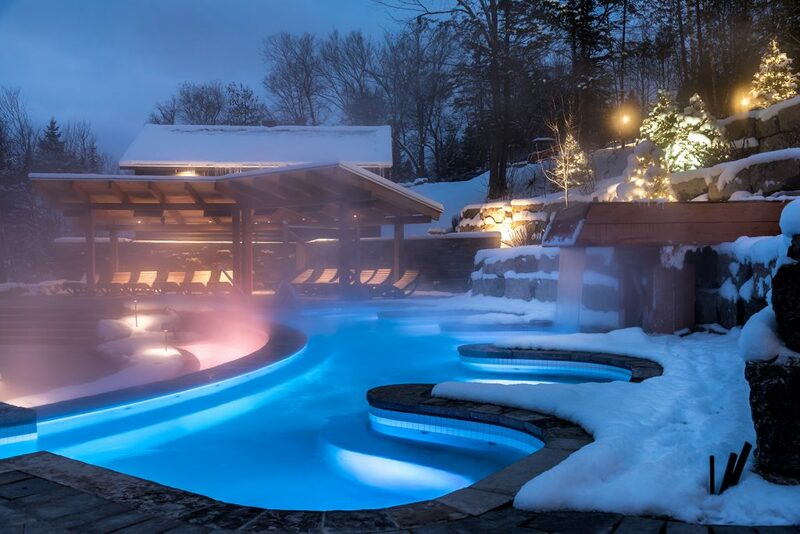 Last week, Scandinave unveiled Infinité, the facility’s newest wing offering guests a second hydrotherapy circuit (read: hot and cold pools and relaxation areas) in both outdoor and indoor spaces overlooking the Diable River. 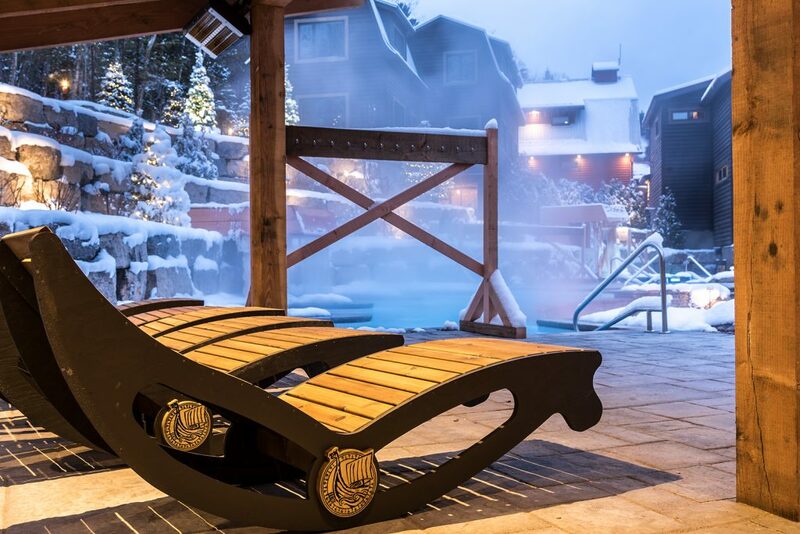 New amenities in the 450-square-metre outdoor area include a giant infinity hot tub — one of the largest in Canada, according to Arsenault — complete with a thermal waterfall to massage aching muscles, a glacial plunge pool with an invigoratingly chilly waterfall and two new relaxation areas, featuring a Muskoka-chair-lined 360-degree fire pit and a set of sculptural loungers under cozy heaters with speakers playing calming music. 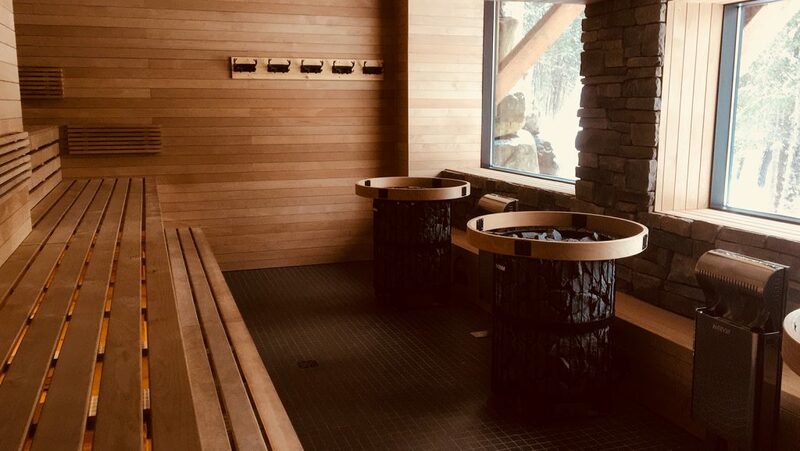 In the 135-square-metre indoor space, guests can relax in the dry sauna or eucalyptus steam room, each designed with private views of the river, or take a cool rinse in the shower. 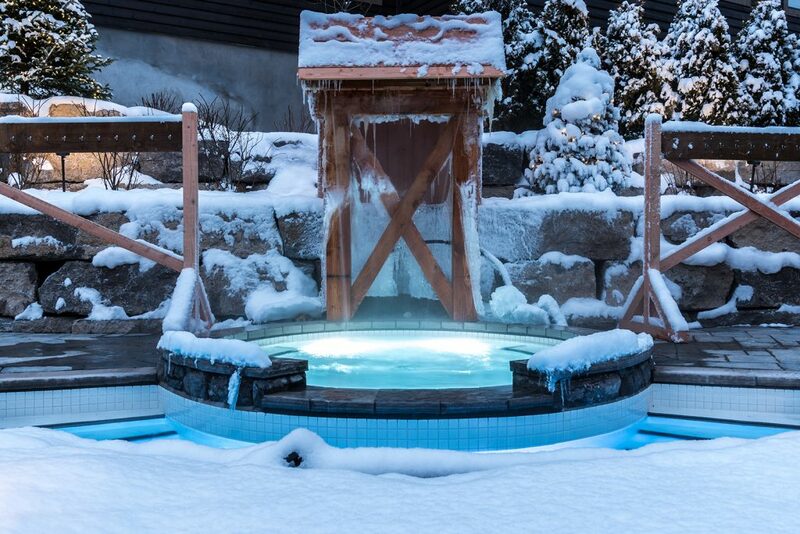 And since the new experience is included in the spa’s regular price, all that’s left is to submerge those tired muscles in the new infinity tub, sip a tea and take in the snowy vistas of the Diable River.